Host Manoush Zomorodi shares real stories of life online and real talk about the future of the Web. 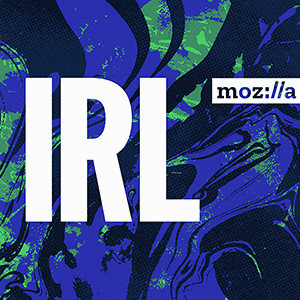 IRL is an original podcast from Mozilla, maker of Firefox and always fighting for you. What if women built the internet? Witchsy founders Kate Dwyer and Penelope Gazin start us off with a story about the stunt they had to pull to get their site launched — and counter the sexist attitudes they fought against along the way. Brenda Darden Wilkerson recalls her life in tech in the 80s and 90s, and shares her experience leading AnitaB.org, an organization striving to get more women hired in tech. Coraline Ada Ehmke created the Contributor Covenant, a voluntary code of conduct being increasingly adopted by the open source community. She explains why she felt it necessary, and how it’s been received; and Mighty Networks CEO Gina Bianchini rolls her eyes at being called a “lady CEO,” and tells us why diversifying the boardroom is great for business and innovation. Season 4 Ep. 7 - What if women built the internet? Episode 30 - What if women built the internet? Coraline Ada Ehmke has been an open source programmer for over 20 years and created the Contributor Covenant. You can also learn about Mozilla’s own community participation guidelines. Meritocracy as an open source practice is briefly mentioned in this episode. Mozilla has taken steps to discontinue using the word “meritocracy” as a way to describe our governance and leadership structures. Here’s why. Mozilla is dedicated diversity and inclusion on the web and in the workplace. Learn about our diversity journey. Firefox is open source and driven by a community of volunteers and contributors. However, in the past decade, representation of women in open source has inched up merely 1.5 percentage points to a shockingly low 3%. Read about the importance of — and efforts to realize — open source gender inclusion. Like society, the Internet grows stronger with every new voice. What’s healthy and unhealthy on the web when it comes to inclusion? Mozilla’s Internet Health Report has some of the answers. And, check out this article from Common Sense Media, on kids and technology use. Some people believe that decentralization is the inevitable future of the web. They believe that internet users will start to demand more privacy and authenticity of information online, and that they’ll look to decentralized platforms to get those things. But would decentralization be as utopian as advocates say it could be? Host Manoush Zomorodi speaks to Eugen Rochko of Mastodon, an ad-free alternative to Twitter; Justin Hunter of Graphite docs, a decentralized alternative to GoogleDocs; Maria Bustillos who hopes to help eliminate fake news online through the Blockchain; David Irvine, the co-founder of MaidSafe who plans to make the centralized internet as we know it redundant; and Tom Simonite of WIRED, who comments on both the promise and also the pitfalls of decentralization. Decentralization efforts are proof that the age of internet innovation is far from over. In fact, Mozilla staff work tirelessly on decentralized web standards, which have been — and continue to be — widely adopted. MicroPub (a standard API for client applications to post to decentralized web services). Check out IndieWeb.org for more on key decentralized web standards, and ‘become a citizen’ of the Indie Web. Watch Chris Riley, Head of Policy, lead a web panel on decentralization. Questions about participating? Ask here. For more, we’ve teamed up with 826 Valencia to bring you articles written by students on IRL topics this season. Accompanying this IRL episode, Huy An N. from De Marillac Academy wrote about centralized social media platforms and privacy. And, see this article from Common Sense Media, on why we need more research on kids and tech (centralized and not). In her new book, The Age of Surveillance Capitalism, Harvard Business School’s Shoshana Zuboff argues that tech companies — like Google and Facebook — collect so much personal data for profit, that they’re changing the fundamentals of our economy and way of life. And now these companies are learning to shape our behavior to better serve their business goals. Shoshana joins Manoush Zomorodi to explain what this all means for us. We then explore whether or not it’s time to end our relationship with corporate spies. OG advice columnist Dear Abby gives us some tips to start with. We chat with philosopher S. Matthew Liao. He asks if we have a moral duty to quit Facebook. Alice Marwick explains why most people won’t leave the social network. And journalist Nithin Coca tells us what it was like for him to quit both Facebook and Google. Spoiler alert: it wasn’t easy, but he has no regrets. Shoshana Zuboff is the author of The Age of Surveillance Capitalism. Read Professor S. Matthew Liao’s Op-Ed Do You Have a Moral Duty to Leave Facebook? in the New York Times. Here is Nithin Coca’s story on fully quitting Google. Mozilla is on your side. Firefox has never — and will never — sell your data. And, we make things that give you more control over your life online. If you love Facebook but hate their data collection practices, reduce what they can track about you. Try Firefox’s Facebook Container extension, which makes it harder for Facebook to track you on the web outside of Facebook. Want more? 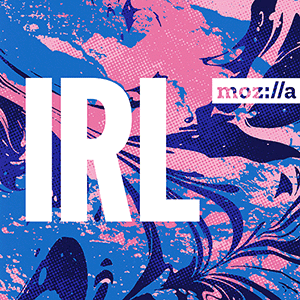 Mozilla has teamed up with 826 Valencia to bring you perspectives written by students on IRL topics this season. Gisele C. from De Marillac Academy wrote this piece on the importance of diversity in tech. And, check out this article from Common Sense Media, on the science behind kids’ tech obsessions. What, if anything, should be banned from online media? And who should review violent and explicit content, in order to decide if it’s okay for the public? Thousands of people around the world are working long, difficult hours as content moderators in support of sites like Facebook, Twitter, and YouTube. They are guided by complex and shifting guidelines, and their work can sometimes lead to psychological trauma. But the practice of content moderation also raises questions about censorship and free expression online. In this IRL episode, host Manoush Zomorodi talks with a forensic investigator who compares the work she does solving disturbing crimes with the work done by content moderators. We hear the stories of content moderators working in the Philippines, as told by the directors of a new documentary called The Cleaners. Ellen Silver from Facebook joins us to outline Facebook’s content moderation policies. Kalev Leetaru flags the risks that come from relying on artificial intelligence to clean the web. And Kat Lo explains why this work is impossible to get exactly right. Some of the content in this episode is sensitive, and may be difficult to hear for some listeners. Read the New York Times article on Facebook’s content moderation policies and also Facebook’s response. Want more? 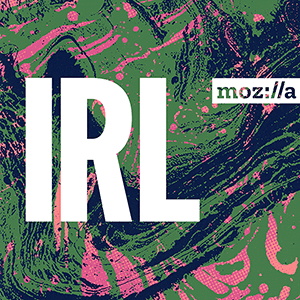 Mozilla has teamed up with 826 Valencia to bring you perspectives written by students on IRL topics this season. Nicole M. from De Marillac Academy wrote this piece on inappropriate content online. And, check out this article from Common Sense Media, on disturbing YouTube videos that are supposed to be for kids. And finally, this IRL episode’s content underscores the importance of supporting companies committed to ethical tech and humane practices. Thank you for supporting Mozilla by choosing Firefox. With so many possible articles to read every day online, it can be hard to sort through what to read and what to skip. Help yourself — give Pocket a try, the app and web service featured in today’s episode. Pocket brings you human curated articles that are selected to inspire, inform, and motivate you. Learn more. Read Ernie Smith’s manifesto to those of us who make reading promises we cannot possibly keep. Like his style? Sign up for his Tedium newsletter. Want more? 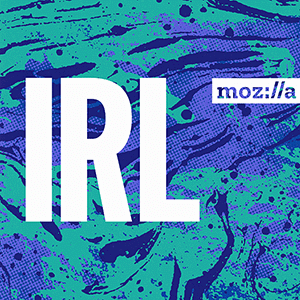 Mozilla has teamed up with 826 Valencia to bring you perspectives written by students on IRL topics this season. Cymreiy P. from De Marillac Academy wrote this piece on clickbait and homework. And, check out this article from Common Sense Media, on how to teach your children about clickbait. Your passwords protect more than your accounts. They protect every bit of personal information that resides in them. And hackers rely on bad habits, like using the same password everywhere or using common phrases (p@ssw0rd, anyone? ), so that if they hack one account, they can hack many. Password managers like 1Password, LastPass, Dashlane, and Bitwarden generate strong, unique passwords. They also store passwords securely and fill them into websites for you. IRL listeners can sign up to 1Password and get their first three months for free. Just visit 1password.com/promo/IRL and give it a try. And, if you use Firefox on your iPhone, try out Firefox Lockbox. It securely gives you access to all the logins you’ve saved to Firefox, in a secure app on your phone. As we mention in this episode of IRL, Gabriela Ivens cataloged hundreds of secret recipes that were leaked during data breaches. Firefox teamed up with her to show the personal impact a security breach can have on someone. As a bonus, we let you in on those precious recipes to drive the point home. Go have a look — and be sure to try the “Exposed BBQ Spice Rub” — at dataleeks.com. Want more? 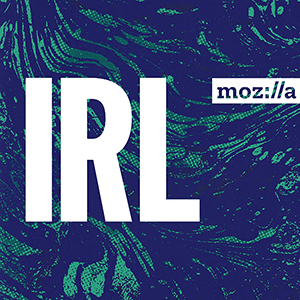 Mozilla has teamed up with 826 Valencia to bring you perspectives written by students on IRL topics this season. Zues C. from De Marillac Academy wrote this piece on managing your passwords, and managing your life. And, check out this article from Common Sense Media, on real world reasons parents should care about kids and online privacy. Three cheers for good passwords (and password managers). Throughout this season, IRL will feature essays from students who are sharing their thoughts on how the web impacts them — for good or bad. This week’s post explores what a Facebook hack taught a teen about privacy. IRL is also partnering with Common Sense Media for tips on how families can stay safe and strong online. This week’s post explains what families can do to safeguard their data. Meta Brown is the author of Data Mining for Dummies. Joseph Turow is the author of The Aisles Have Eyes. Read Alana Semuels essay, We Are All Accumulating Mountains of Things. And, if you decide to shop online this holiday season, Firefox has you covered with Pricewise, which tracks prices for you across five top US retailers: Amazon, eBay, Walmart, Home Depot and Best Buy. 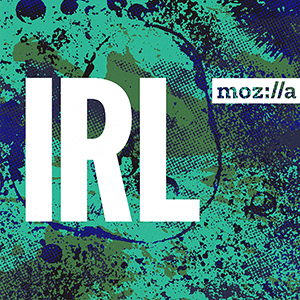 Here’s more about IRL Season 4, Manoush, and the Mozillians who make the IRL podcast. Examine how the internet is changing our minds, our votes, and our democracies – all over the world. Listen now. Today’s teens are the first humans who have spent their entire lives online. Find out what it's like growing up in the age of screens. Listen now. Veronica Belmont and Franchesca Ramsey meet the people working to make the web — and world — friendlier places. Listen now. Veronica Belmont and Peter Rojas explore how the Internet is building and confusing our relationships. Listen now. There’s a new currency in town (and no, we’re not talking about Bitcoin). We’re talking about attention. Listen now. One of the most successful recruitment tools the U.S. Army ever made was… a video game? Find out how gaming elements in tech have infiltrated our online and offline lives. Listen now. Explore the tradeoffs you make online everyday, and learn why on earth your email inbox is filling up with privacy policies. Listen now. Get a sneak peak at what Veronica Belmont will cover in Season 3 of IRL, because online life is real life. Listen now. How to stop the spread of disinformation online. Listen now. How technology can create, and can break, our filter bubbles. Listen now. When bad code spreads disinformation and bias, it’s never something that “the algorithm did.” It’s something people did. Listen now. On the Internet no one knows you’re a dog, as the old joke goes. But does anonymity truly exist on the web anymore? Listen now. From Snapchat filters to Apple’s Face ID, biometric technology plays a growing role in our everyday lives. What do we actually give up when we upload our face to these apps? Listen now. Recent reports estimate that over 50% of teens are addicted to their smartphones. Veronica Belmont investigates the impact of growing up online. Listen now. Most website visitors aren’t human. They’re bots. Here’s how to spot them. Listen now. The battle for the open Internet isn’t over. In the days leading up to the FCC’s vote, we investigate what’s next for net neutrality. Listen now. On the Internet, everything happens so much. Veronica Belmont explores the latest developments in digital activism, cybersecurity and troll clapbacks. Listen now. Recent events in Charlottesville, VA have revealed the role the Internet plays in IRL threats and violence. Should tech companies regulate who says what on the Internet? Listen now. What is life like without fast Internet, and how does life change once a person has it? Veronica Belmont talks to people about joining the digital economy. Listen now. Surveillance. Turns out, we’ve invited it into our homes through digital assistants, connected toys and baby monitors. Listen now. Trolls are in every corner of the Web, but people are fighting back in new ways. Baked goods included. Listen now. This episode of IRL focuses on our internet insecurity. Meet the unsung heroes fighting to keep us safe. Listen now. The Internet is at a crossroads. Mozilla’s IRL podcast dives into the current net neutrality debate. Listen now. There is no such thing as a free lunch. 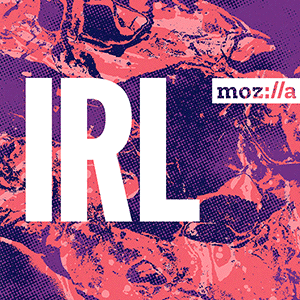 Mozilla’s IRL podcast dives into the price of “free” online series. Listen now. 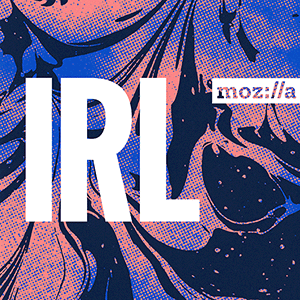 Introducing IRL: Because Online Life is Real Life Listen now. Sign up for the Mozilla newsletter to hear more, learn more, and raise your voice for a healthy Internet.